Individuals suffering from Type 2 diabetes can always keep their levels of blood sugar healthy by making the right choice of foods to eat on a regular basis. Following the right diet for diabetes Type 2 does not mean that you will have to avoid eating the things that you are fond of. You still have the option of enjoying different varieties of foods. Best diet for Type 2 diabetes is a diet that is well-balanced and consists of varieties of healthy proteins, fats and carbohydrates. The right food combinations need to be chosen as these will help in keeping the levels of blood sugar within targeted range. These are vegetable varieties that do not elevate the levels of blood sugar. These include vegetables like beets, broccoli, asparagus and artichokes that satisfy the appetite and boost an individual’s intake of fiber, minerals, phytochemicals and vitamins. Non-fat dairy products like yogurt and milk contain vitamin D in large amounts and therefore they are considered good for the health of a type 2 diabetic. Vitamin D helps in keeping the bones healthy and therefore non-fat yogurt and milk serve as smart choices for diabetics. Tomato is another healthy vegetable, which you need to include in your diet for diabetes type 2. Tomatoes are rich in their content of lycopene which is a very powerful substance helping in reducing the chances of prostate cancer, macular degeneration and heart disease. Tomatoes can be enjoyed prepared or raw as they are nutritious ion both the states. It has been concluded through studies that having a diet that is rich in its content of high-fiber foods and whole-grains, helps in reducing the risk of contracting type 2 diabetes. Heart healthy oatmeal is one of the best sources of fiber and whole grains. 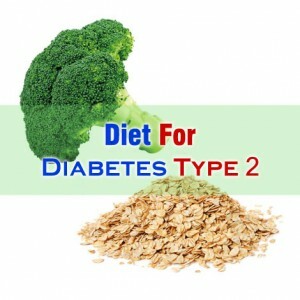 Fresh fishes like cod, catnip and tilapia are considered the best foods to include in diet for diabetes type 2. Fish is one of the best sources of lean proteins and therefore helps in keeping the blood sugar level down.